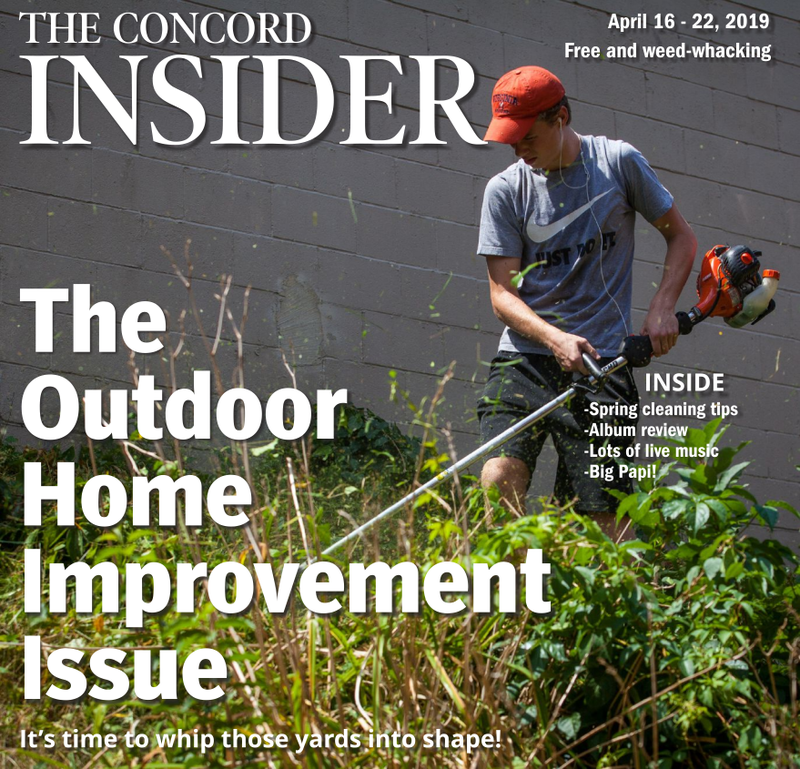 If you can remember all the way back to last month, we told you about the partnership between the Greater Concord Chamber of Commerce’s Creative Concord committee and the city to bring public art to the downtown area. 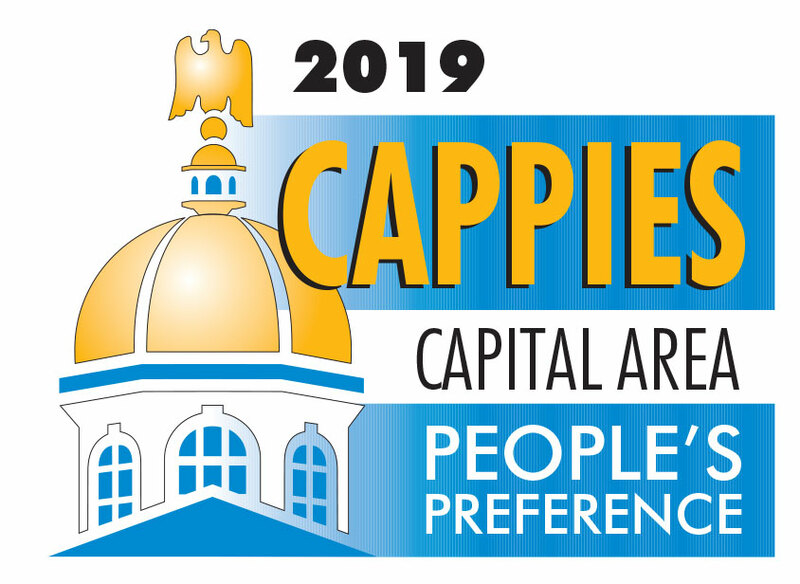 After installing two pieces in 2016 – post Main Street redesign – there have been new works popping up all over the place (or at least that’s how it seems). 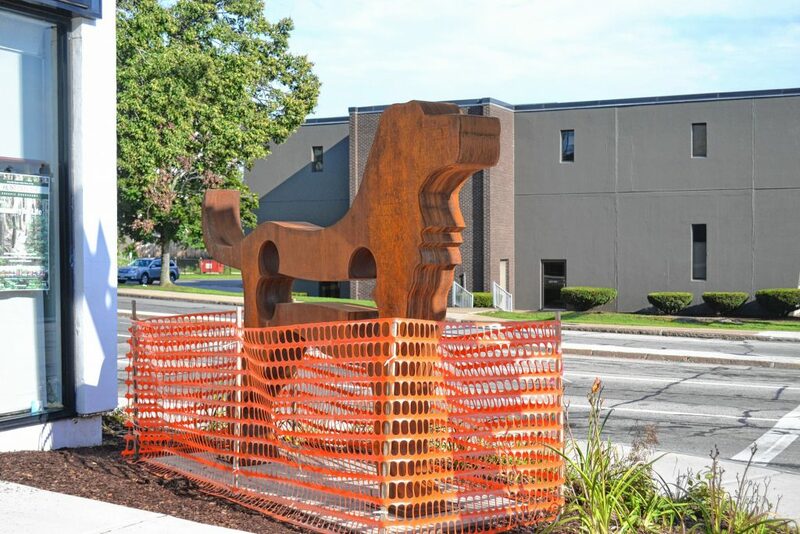 And toward the “tail” end of July, American Dog by sculptor Dale Rogers made its debut in front of the Prescription Center at the corner of North Main and Centre streets. It’s the third installation this summer, joining Taper Deco and Toe Dancer. There could be even more pieces added this year, so you should keep an eye out for them.